I received a notification about a month ago letting me know that my mother had sent me a pin on pinterest, which happens about a dozen times a day (love you mom!). Except this time, instead of it being something she thought I might be interested in, it was for her. My mother pinned me her own gift idea, which is genius really. If you're difficult to shop for, send pins to your loved ones! The pin she sent was a little necklace that read, "Grandma, I love you to the moon and back!" It was an adorable idea, but I wasn't fond of the little pendant or the amounts of pink and purple on it. My mother has one grandchild and HE is a BOY. Stop pitying her, one is more than enough for the time being, unless my brother suddenly gets married. I immediately hit Etsy to search for an alternative necklace to the one she had shown me. That's when I came across Distinctly Ivy and her personalized jewelry. 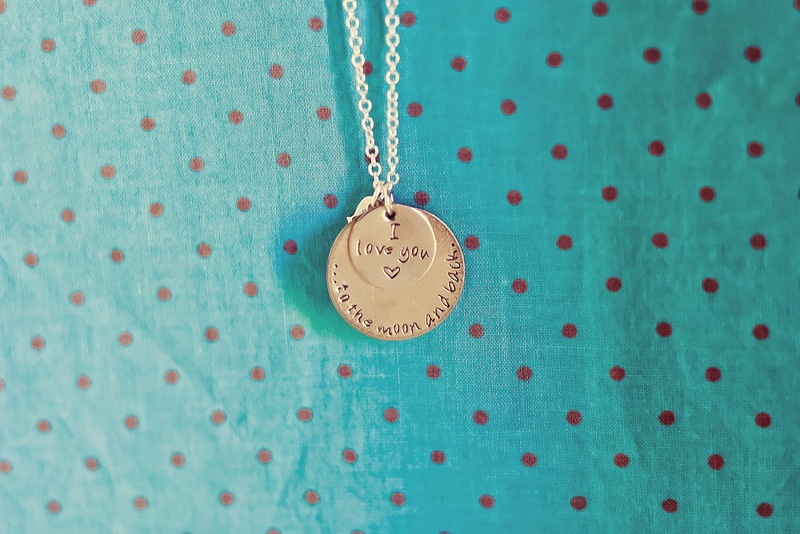 She had the quote I wanted and I was able to add on a heart with my son's name on it pair with his birthstone. While I was looking around it occurred to me that I had another birthday coming up, my MIL, she's three days before my mom. So I quickly scoured around the shop for something I thought would fit for her. Unlike my mother, my MIL has NINE grandchildren along with three step-grandchildren. I do wish I had time to figure out everyone's birthstones so I could have gotten her the large cluster, but instead I found a simple "Grandma" pendant with a heart. (Which she loved, by the way). I added my son's birthstone to it and hopefully for Mother's Day I will be sending the rest of the birthstones to cram on her necklace! My order cost $40 and with two gifts, customization and next day shipping, I am a happy little bee! 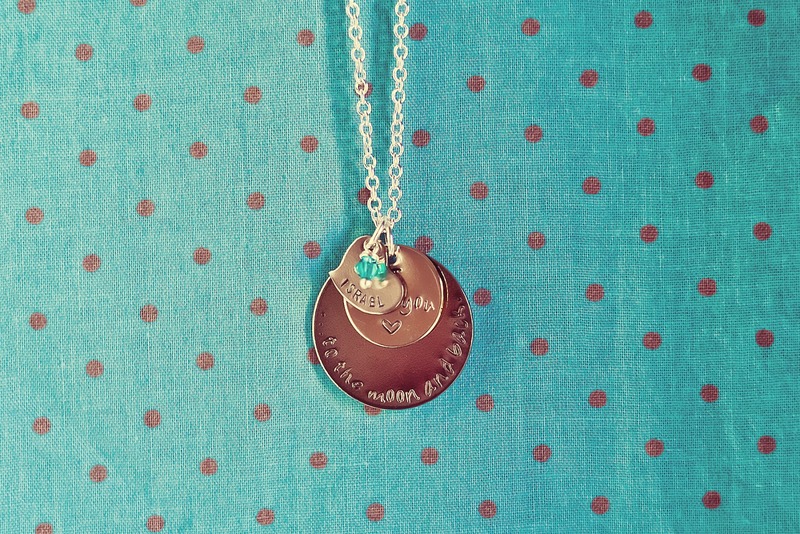 I'm actually kind of pining for my own little necklace for the upcoming motherhood holiday. The pendants were delicate and lightweight, a little smaller than I thought they would be. But I was actually happy to see they were small, since both women are quite simple and wouldn't enjoy a bulky piece of jewelry. 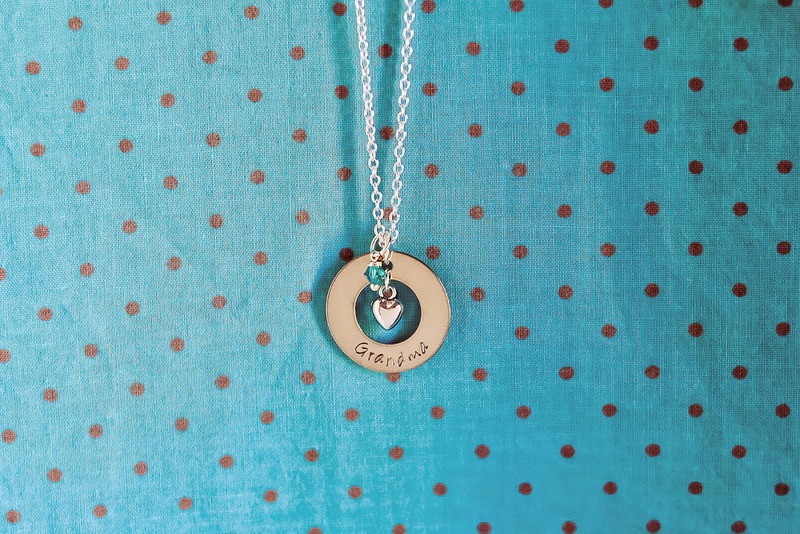 If you're in the market for a gift for a mother, child, graduate, etc. 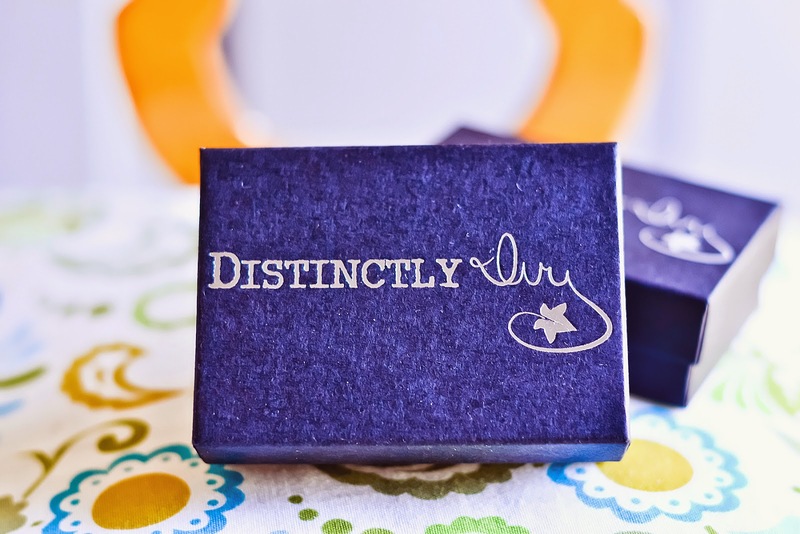 check out Distinctly Ivy. This is the point where I mention that I wasn't paid or compensated in anyway for this post. I'm a nice lady and when I'm happy with a product, I share it!